A wingsuit BASE jumper died In Rio De Janeiro on Friday, Globo reports. 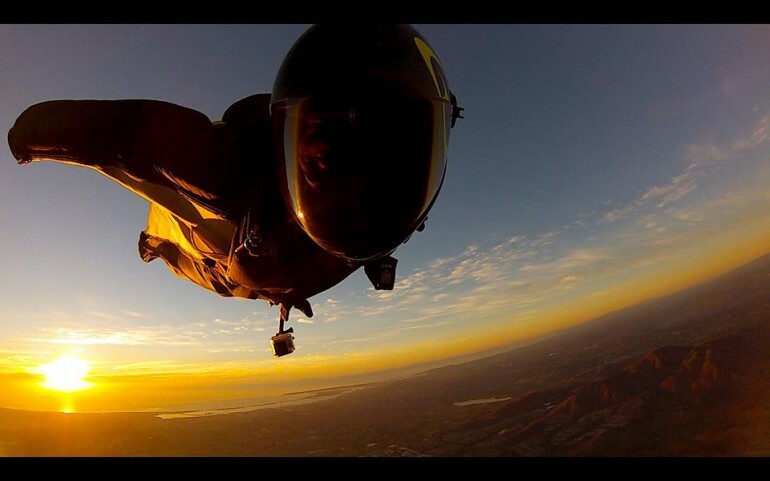 Fernando Gonçalves, 36, was an experienced wingsuit flyer and skydiver, who had traveled the world following his passion. A professional skydigind instructor, he had a growing number of professional sponsors, according Bonnie Dutile, representitive of a U.S.-based equipment sponsor who spoke with the Latin Times. Using a wingsuit and wearing a parachute, Gonçalves launched himself off of the Pedra da Gávea, a 2,769 ft granite dome mountain. He had done the jump before, and had posted videos of himself zipping from Pedra da Gávea to the beach below. It’s unclear what went wrong. Gonçalves crashed, and died before reaching the hospital. In Rio de Janeiro, wingsuit jump stunts gained international attention when daredevils Jokke Sommer, Espen Fadnes and Ludo Woerth performed a flight under the arm of the city’s iconic Christ Redeemer statue. In a documentary film made about the Christ Redeemer jump in 2013, Fadnes emphasizes that there’s no margin for error in wingsuit flights. The threat of death is undeniable. Unlike the other dangers inherent in modern life -- car crashes, heart disease, cancer -- the threat of crashing during a BASE jump stares participants right in the face. “This is the sport that you can’t f*** up. The day you f***up is the day you die,” he says in the video. It’s been a particularly tough couple of months for the sport. At least three prominent BASE jumpers (not necessarily in wingsuits) have died in the past two months, USA Today reports. In Brazil, another wingsuit pilot died the past May. Fernando Gonçalves was aware of the risks, but he didn’t walk away from his passion. Based in San Diego, he traveled Europe, South America and the U.S. flying in his wingsuit, posting photos and videos on his social media page. When his friend and former flying partner Fernando Motta died in a wingsuit crash in 2013, Gonçalves took to his Facebook page and he tried to explain to his friends, in Portuguese, why he embraces a sport with such transparent risk. “It’s difficult for people who aren’t passionate about the sport to understand the motive that drives us to do this. I hope that one day you experience the joy of flying and one day you will understand the reasons for all this. Yes, [the Utah landscape] is marvelous and yes I want to encourage people to do it themselves, because I want share a bit of everything I do and what I feel with people around the world so that the have another vision of [what life is]. In that post, Gonçalves paid respects to Motta in Portuguese and English. Updates: since the initial publication, we've confirmed that Gonçalves was based in San Diego and had a number of U.S.-based sponsors. Gonçalves' friends and colleagues have set up a memorial fund to support his daughter, who is 15 and lives in Brazil. VIDEO: Jokke Sommer, Espen Fadnes and Ludo Woerth perform their stunt at the Christ Redeemer Statue. Around Minute 7 they take a practice jump along the route that Gonçalves had flown before and was attempting again when he crashed on Friday.